As I was making this gift guide, I kept all the men in my family in mind. Dads, Brothers, and Husbands. I wanted to put items together that worked together well whether you were giving one, or pairing a few together. They are all cohesive, and I think the men in your life will be happy with a lot of these options! Conveniently, most of these items can be found on amazon. To shop, click the images below! 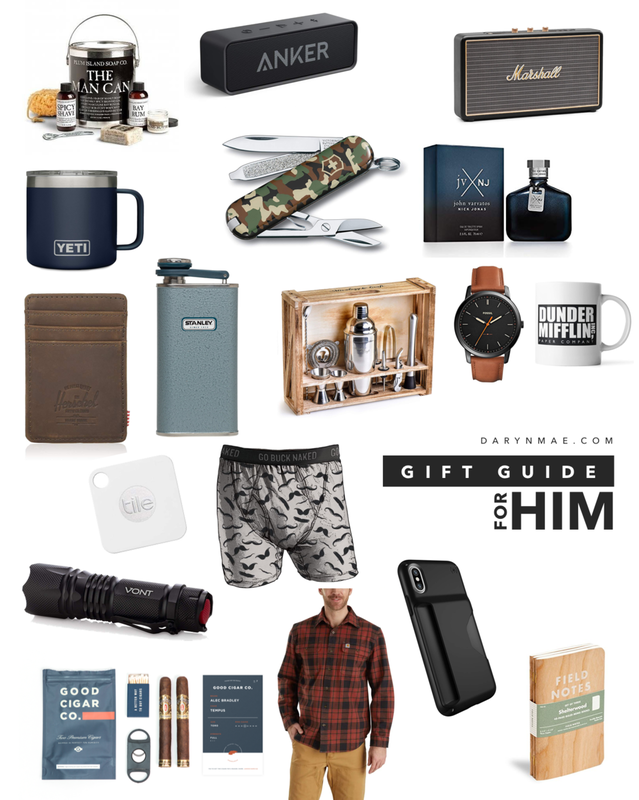 I truly hope this gift guide is helpful to you, and you’re able to get an awesome gift for the beloved men in your life. Let me know if you found this helpful, and if you were able to cross a name off your Christmas shopping list.